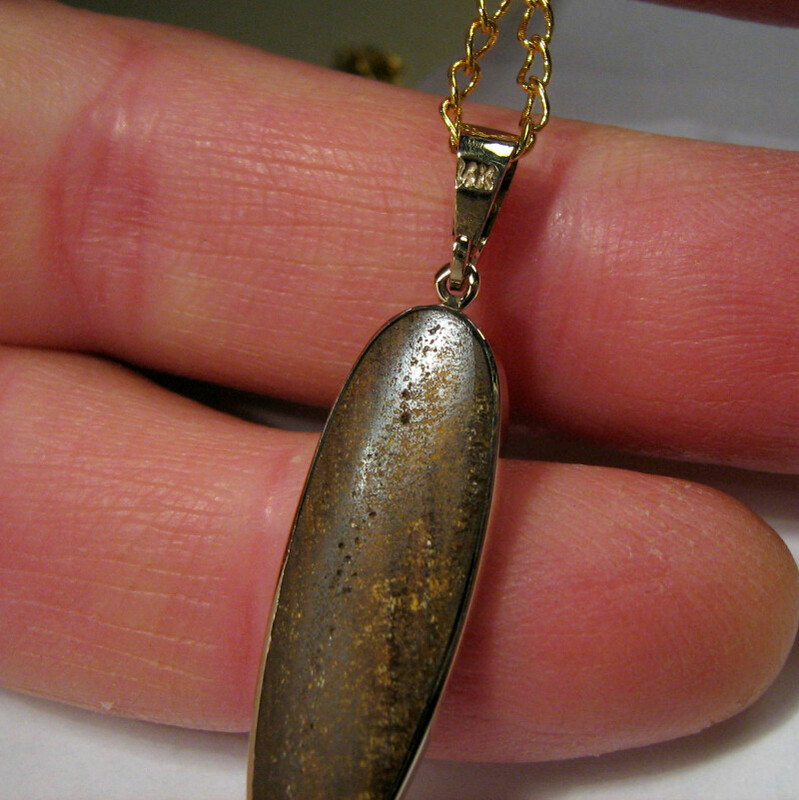 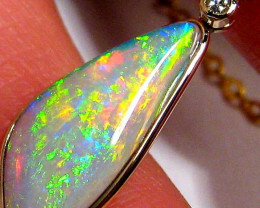 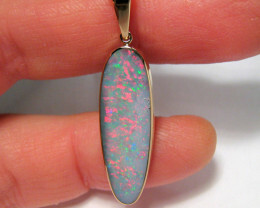 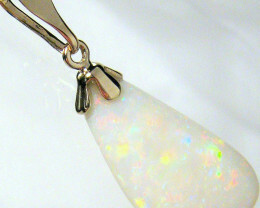 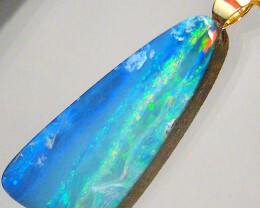 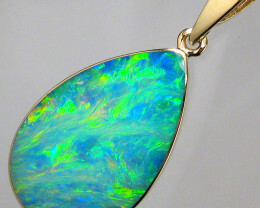 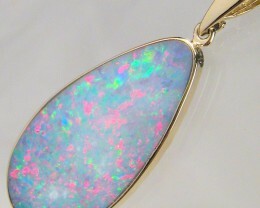 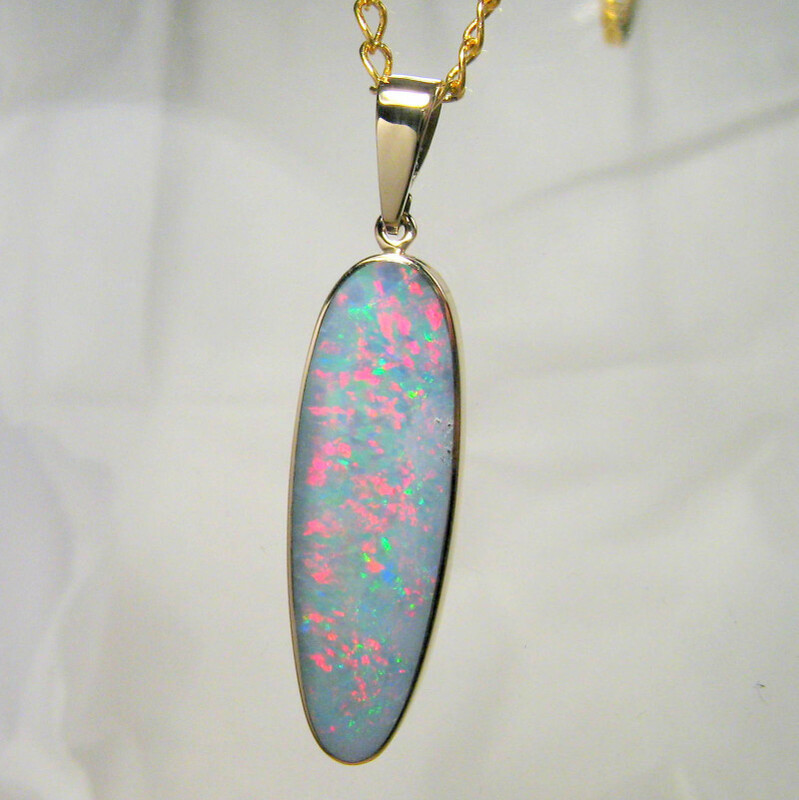 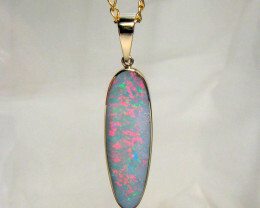 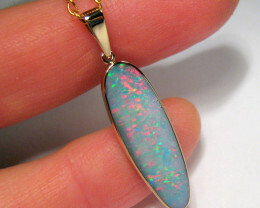 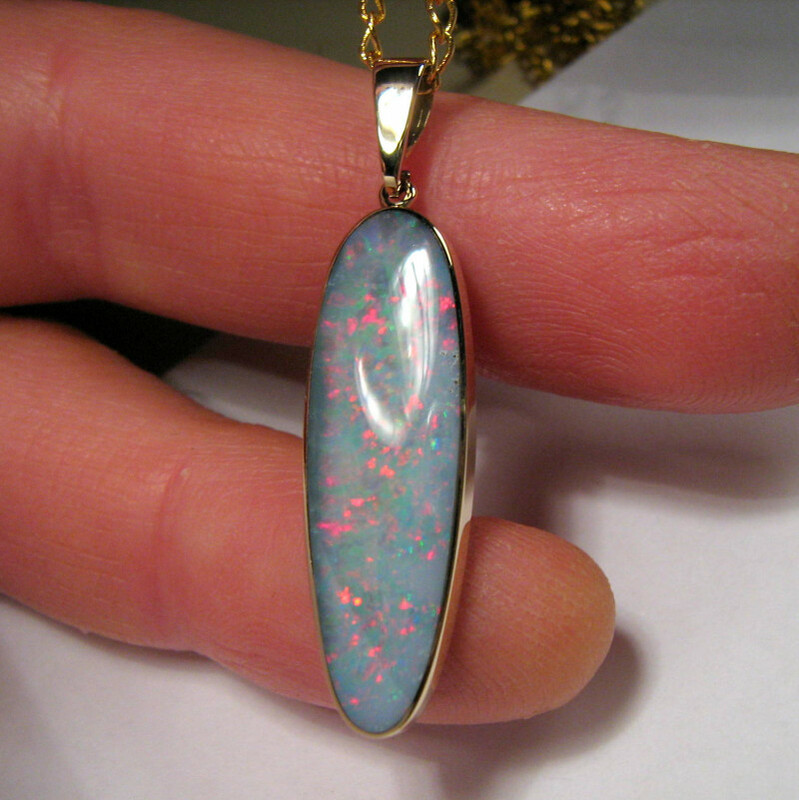 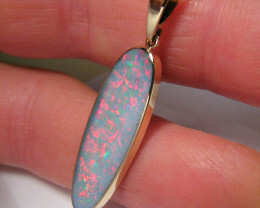 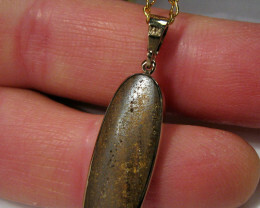 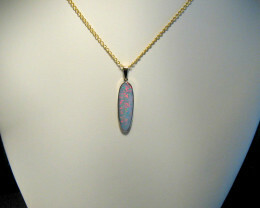 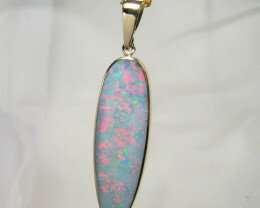 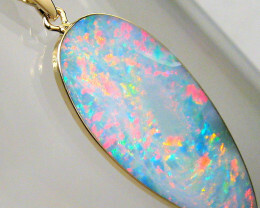 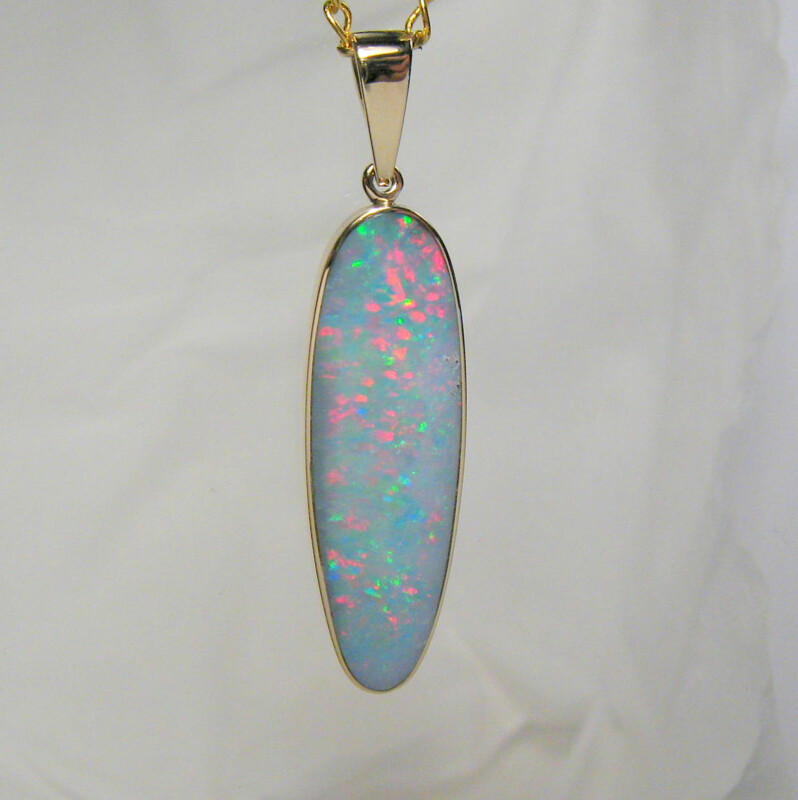 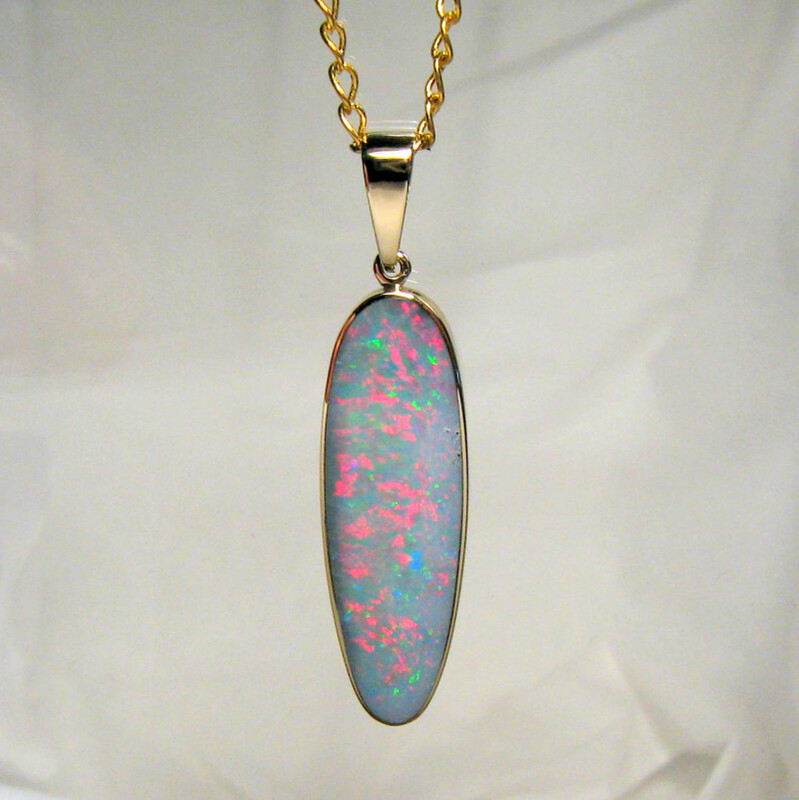 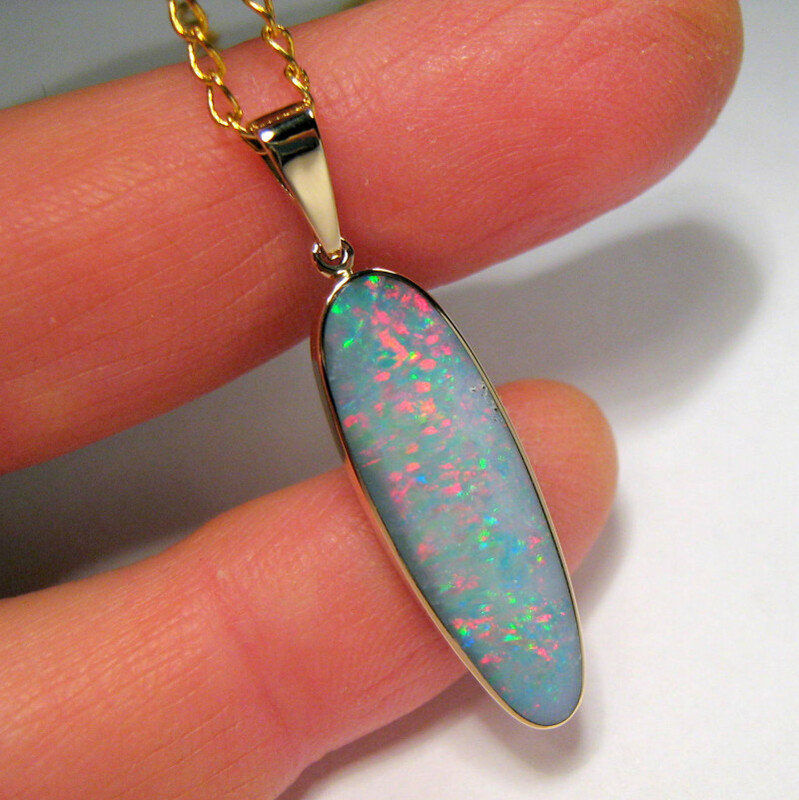 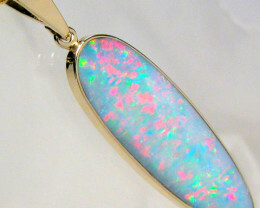 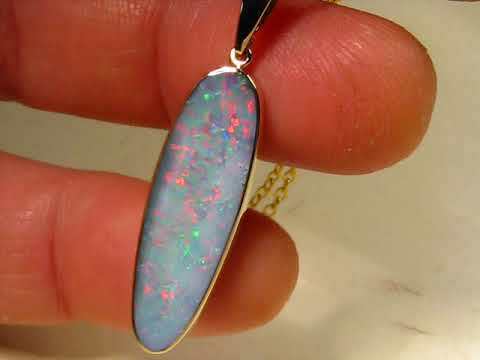 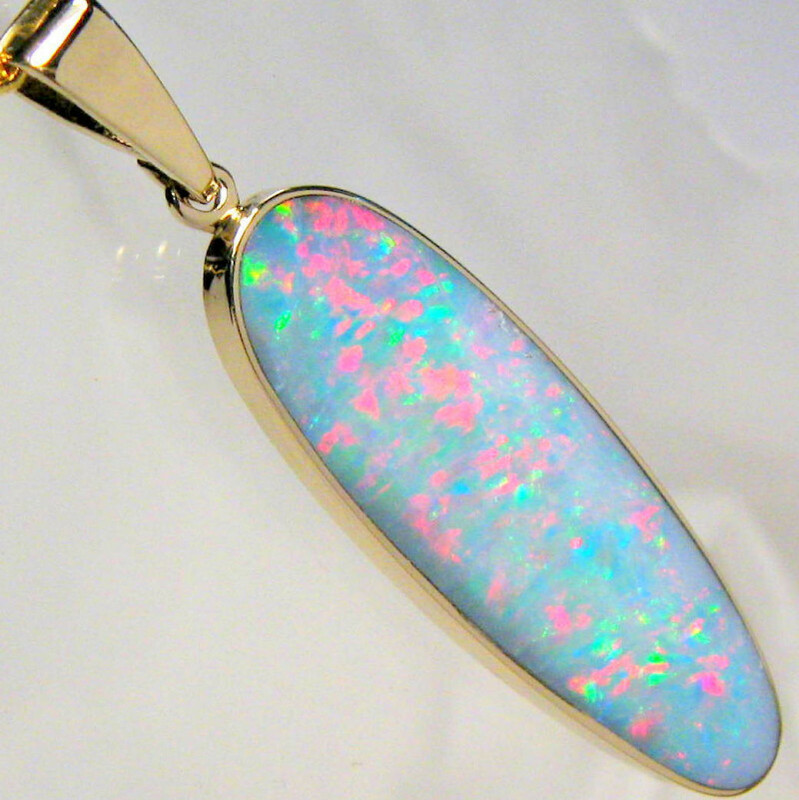 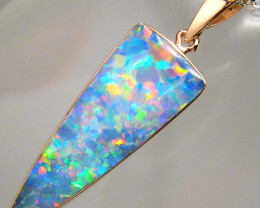 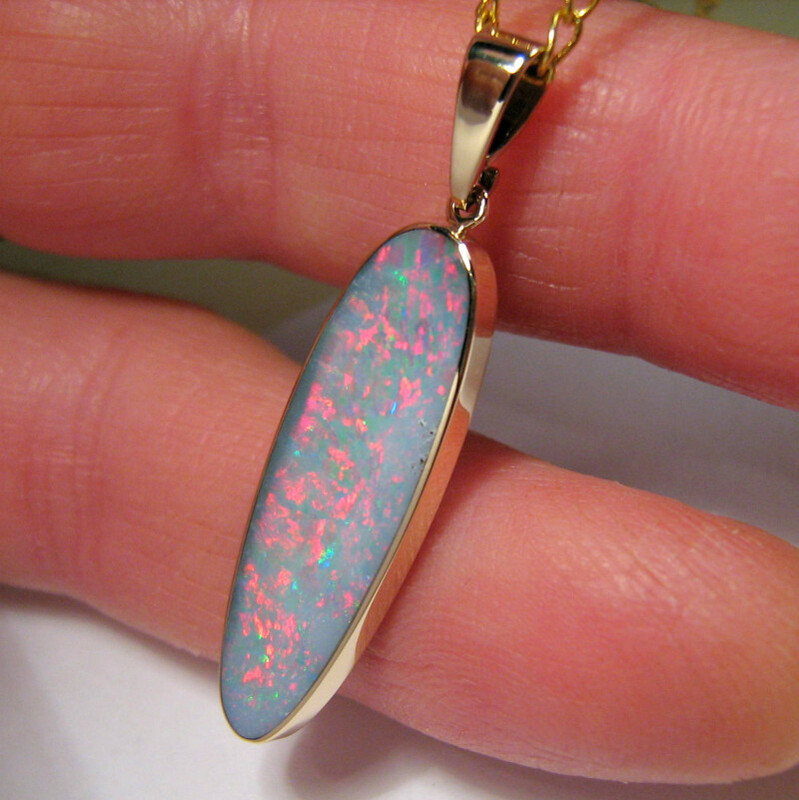 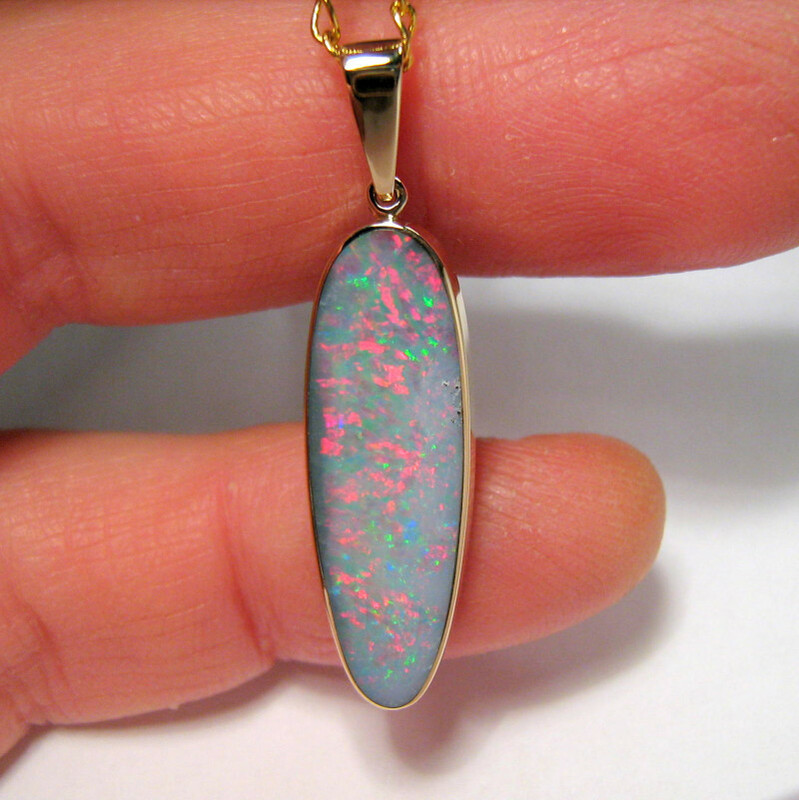 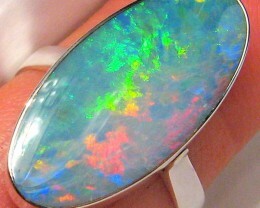 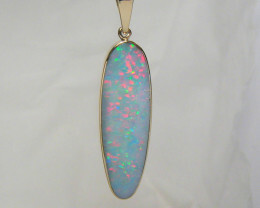 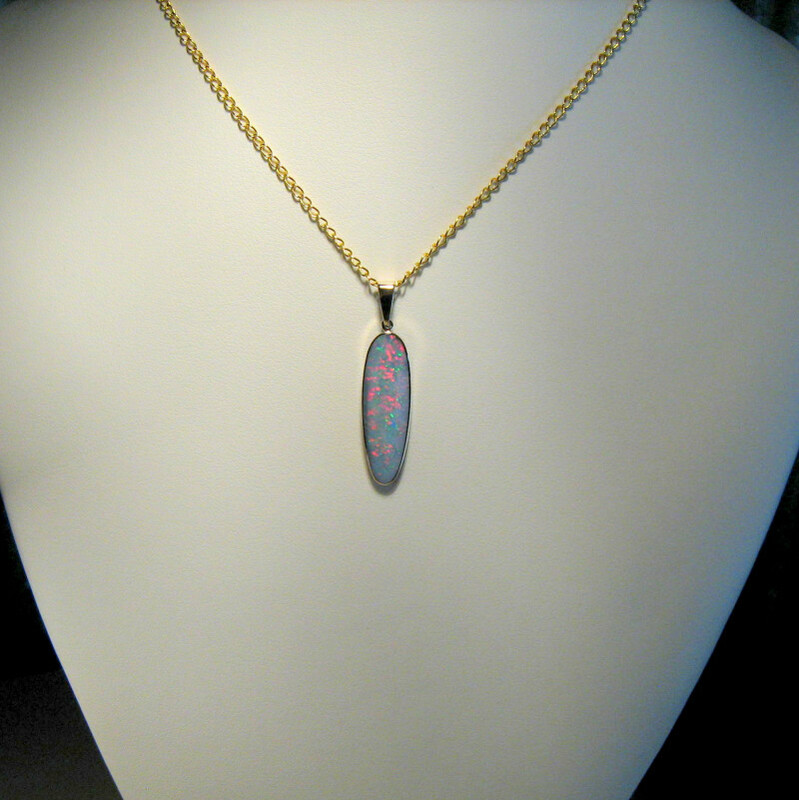 This genuine natural Australian opal mined on the opal fields of Coober Pedy (Shell Patch Field) Australia, has been inlaid in solid 14 karat gold with a Queensland opal boulder ironstone backing (inlaid doublet) here at World Class Opal Australia.This quality opal would retail for around $300 per carat making a natural fine gem pendant like this hard to find for less than around $750 retail. 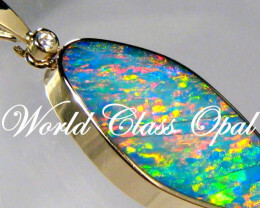 World Class Opal are trade certified, (Certificate III Opal Industries Practices) second generation miners and have over 25 years experience in mining, cutting and wholesaling rough opal, cut opal and jewelry. 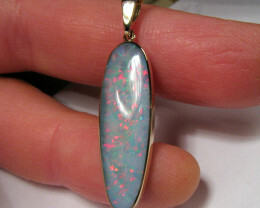 BRIGHTNESS: Lovely saturated red green pin fire kicking 4 out of 5 all over. 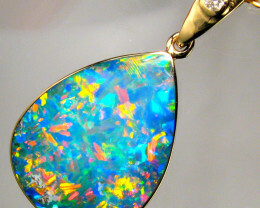 World Class Opal maintains a 30 day 100% satisfaction guarantee return policy on all fixed price and auctions.